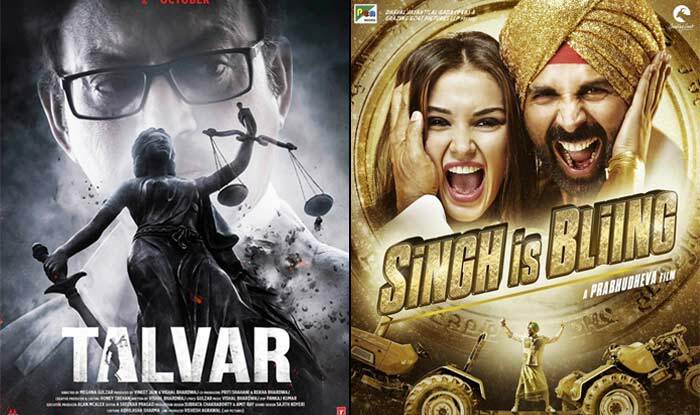 Last week released Bollywood movie Singh Is Bliing of superstar Akshay Kumar, has showed commendable performance in its first week but gets failed to maintain its pace in the second week. The movie was released on 3200+ screens worldwide & received overall positive reviews from audience as well as critics. Audience find it very entertaining, as a result it grossed excellent business figure as total in opening week. 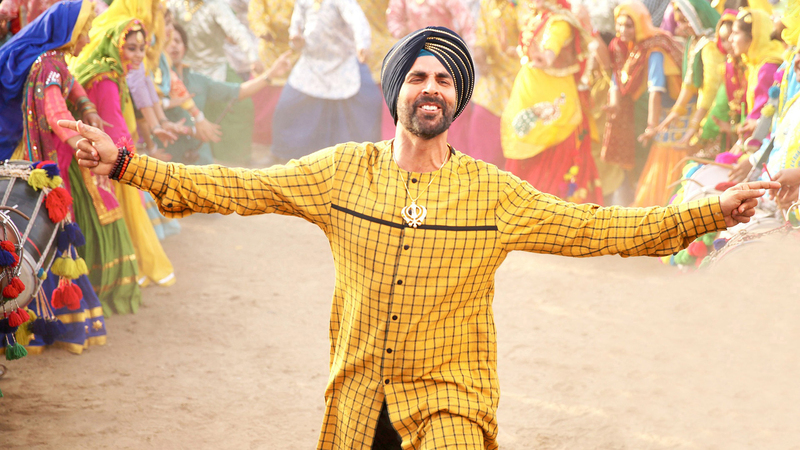 Singh Is Bliing was collected the amount of total 77.60 crores in the first week, that includes 54.44 crores of weekend & 23.16 crores of weekdays. In its second weekend, it added 7.10 crores to its account that includes 1.50 crore of Friday, 2.60 crores of Saturday & 3 crores of Sunday. Till the end of its 2nd weekend, total collection of the movie was recorded as 84.70 crores. On its 2nd Monday, being the normal working day it witnessed high drop in occupancy than previous day & minted the amount of 1.10 crore as its 11th day collection. On the next day, it was raked 1.02 crore as its 12th day collection. Then on its 13th day i.e. 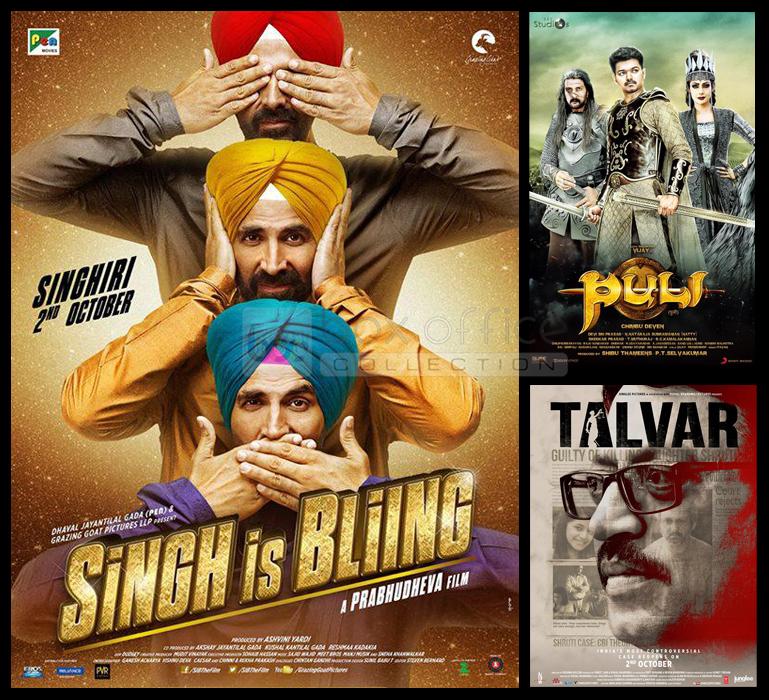 its 2nd Wednesday, Singh Is Bliing recorded very less occupancy & done the business of only 0.85 crore. The movie has acquired the 7th position in year’s top highest grosser Bollywood movies, but lost its pace in just one week. Earlier it was expected to enter in 100 crore club at domestic box office but now it seems impossible. On the other hand, the adjacent release murder mystery Talvar has not showed any impressive performance in its first week but heading strongly at box office in second week. It was reported the business of 15.55 crores as opening week total, that includes 9 crores of weekend & 6.55 crores of weekdays. In the second weekend it raked total 7 crores that includes 1.50 crore of Friday, 2.70 crores of Saturday & 2.80 crores of Sunday. Till the end of 2nd weekend, total collection of Talvar at domestic box office was recorded 22.55 crores. As now, it has also entered in weekdays, so facing considerable drops in its business but still collecting decent figures. In weekdays, it added the amount of 1.05 crore on 2nd Monday & 0.85 crore on 2nd Tuesday to its account. As per the report, on 2nd Wednesday it grossed only 0.75 crore as its 13th day collection. Till the end of its 13th day, total collection of Talvar is recorded as 25.20 crores.